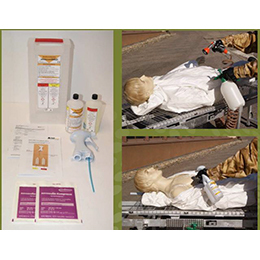 The OWR FOGBOOSTER is the new generation of decontamination and disinfection fogging device. It is a lightweight cold fogger without any electrical or gasoline driven motors. By using compressed air combined with an especially designed nozzle, decontamination or disinfection fluid is microscopically atomized to form particles on a micro-scale basis to produce a highly effective dry mist or fog. 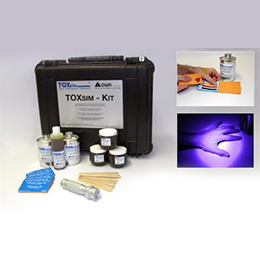 A micro film is produced which covers all surfaces and gets in all the cracks and joints which detoxifies all common chemical warfare agents (CWA), by using OWR’s NATO approved decontamination agent GD-6 with the FOGBOOSTER. GD-6 is NATO fielded: NSN 6850-12-377-2705. 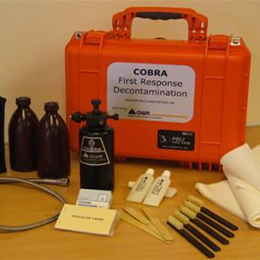 OWR contains 15 years of experience in the field of fogging contaminants. 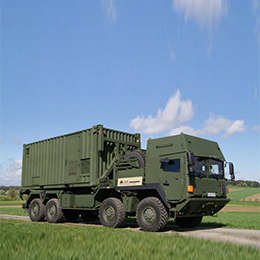 They have proved fogging is particularly effective in enclosed confines such as vehicle interiors, containers, buildings and so on because of the low volumes of the decontaminant used and is uniform spread. 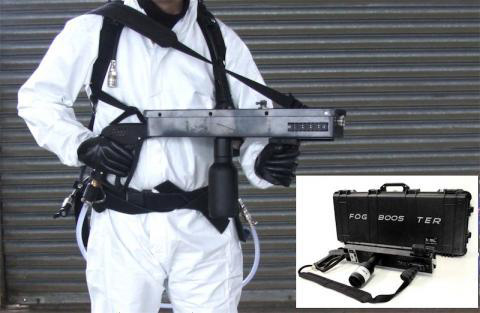 The military and civil defence use the thermal foggers as they are highly flexible and mobile and are very effective when large volumes of decontamination agent must be applies. But, the major disadvantage is they use gasoline motors which cannot be used in areas where there is a danger of explosion such as aircraft hangars and naval vessels. FOGBOOSTER can fill the volume of a 20’ ISO container within 90 seconds. Air demand: 100 – 200 L / min eff.